One of the best things that ever happened in technology was the invention of email. Since the introduction of email, connecting with people have become easy as a breeze. It became one of the major forms of communication across the world since mobile phone tariffs were still not affordable for everyone to make calls abroad. Gradually email became one of the preferred modes of communication within or outside an organization for work purpose and since then, there has been no looking back. Today, it’s a must to have an email function in the smartphone to keep your work communication going while on the move. However, email is not easy to manage. Sorting your important emails, answering emails on time, deleting the ones you don’t need like spam or promotional emails, unsubscribing from unwanted newsletters, and of course managing those property endowing emails from some overseas prince can be totally baffling. However, to manage this problem, many companies have introduced desktop email clients. Windows being the majorly used operating system, there’s more demand for email desktop clients for the platform. 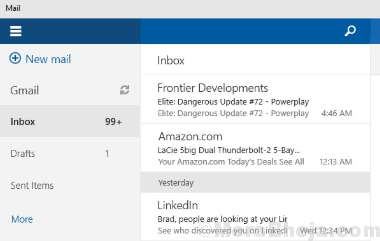 There are plenty of email clients for desktops that makes it tough to select the best. We have handpicked some of the best out of them specially for you. 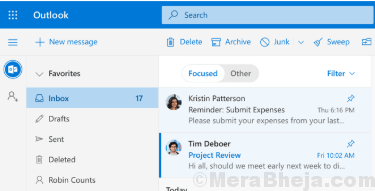 Read on..
Mailbird 2.0, an award-winning email client for Windows, is clearly the favourite in the list with its well-arranged tools that works with all the major email providers out there. It’s a lightweight software that does not slow down your system. Best of all, it can be customized to make it look the way you want. One of its main features is that it allows you to use multiple mailboxes at the same time. You can sign in to all these mailboxes at a time and these allow you access to inboxes in the exact condition your web mail inbox is arranged in. Mailbird puts the widescreens to best of use by offering a calendar view. It also offers support for different third-party apps namely Facebook, WhatsApp Web, Google Calendar, Dropbox, and more. What we especially like about this email client is its function of “Undo Send” which is uncommon. The best part about Microsoft Outlook is that it already comes bundled with most of the Office 365 plans. However, for advanced features you can buy the paid version. What’s interesting is, MS Outlook supports almost every email service known thus, helping you to manage all your email addresses in one single place. It also includes features like calendar and task integration, along with many other modifiable inbox rules that help you keep you updated. You also get access to many other features like, setting notification sounds as you receive a message from a specific person containing certain keywords, or moving an email to a folder automatically as you receive it from a specific address. This feature helps you manage your work and personal emails separate from each other. Although the development for Thunderboard ceased in 2012, its maintenance updates are still up and working. A stable version update was released this year proving that its not yet dead. Existing clients would not receive any new features, but the email client can be still used. Best of all, Thunderbird is the only desktop email client that’s absolutely free of cost, and open source. It’s the only free email client that deserves to be in the list. It’s the best bet for those who do not want to switch to web-based client. Bonus – it comes with large variety of plug-ins, it’s simple and stable. It’s a Windows app lets you stay updated with your emails, keeping in touch with people you care about, and even manage your schedule, all at the same time and at one single place. Mail and Calendar app is exclusively developed for both home and work users. Among its biggest advantages are that this app helps you communicate with your connections fast and allows you to concentrate on what’s more essential for all your email accounts. Best of all, it supports all major email accounts such as, Office 365, Exchange, Outlook.com, Gmail, Yahoo! and so on. eM Client is known for its customization options that includes option for behaviour and appearance. It also provides support for email services like Outlook, Exchange, Gmail, and iCloud. It’s a complete solution that helps you manage office tasks and communications simultaneously. 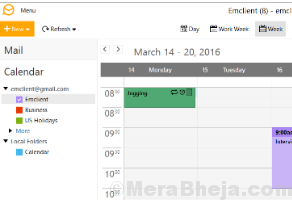 Apart from being an email client, it also comes with integrated calendar, contacts organization, chat support, and task management features. It comes with an intuitive user interface that makes it super smooth to bring in old messages from other services. Additionally, a specially designed sidebar displays message and attachment history along with a plan that consists of any crucial dates with a specific contact. The app has released a new update offering PGP password support for those who want to send encrypted emails along with live backup. This will now work alongside your work within the app. Nylas Mail, which was shut down in August 2017 was re-launched as Mailspring by one of its original developers. To keep the software running, he improved several of the internal components that lead to faster syncing, reduces usage of RAM, quick launch times, and so on. Being an open source software, Mailspring is a great alternative to Thunderbird, especially if you are looking for something fresh, exciting, and full of potential for the future. Although it’s free to use for unlimited period, for some advanced features you will buy the subscription. Some of its major features are, support for email services like Yahoo, IMAP, Gmail, FastMail, iCloud, and Office 365, endless email accounts and consolidated inbox, undoing sent emails within a time-frame, and support for pre-designed themes, emojis, and layouts. With a single inbox for all accounts, Postbox is a sleek Mozilla Thunderbird that definitely stands out in convenience. It’s a simple, clear, and powerful email client that offers easy management, quick search, an aesthetically designed user interface. Moreover, it’s known for its flexible email templates and social media integration. Best of all, it retains some Mozilla Thunderbird traits, while some functionalities like self-learning automation, task management, or social media platforms are still to be explored. What we like about Postbox is that, it offers a thorough email experience, how it groups the emails smartly, and helping with free-form topics that help you organize your emails and focus on them. It may not be the best email clients for Windows, but it does help you out with synchronizing your WebMail, and other accounts. 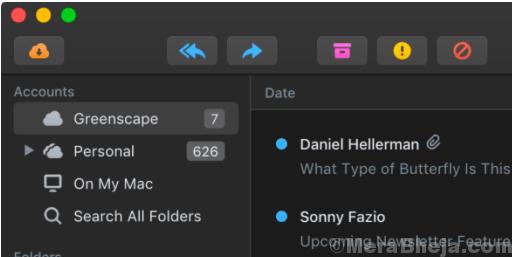 While it downloads all unread emails automatically from your inbox, it does offer you the option to arrange mails by color coded priorities. It can also arrange mails by the type of attachment. What we like about Opera Mail is that it’s free of cost and designed on Mozilla code which makes it somewhat similar to Thunderbird in its appearance and performance. The user interface is intuitive and has a clean appearance which makes it convenient for the client. Moreover, after a bit of usage, Opera automatically picks up the right messages for the right folders based on last usage. This helps you to do away with manual sorting of emails and rather get it conveniently filtered. 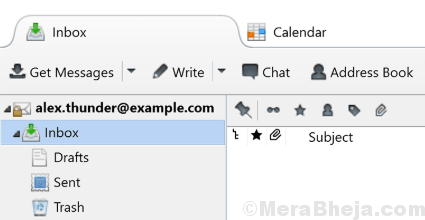 If you are looking for a free and open source desktop email client, then Zimbra Desktop can be a great choice. It’s been around for quite sometime and has gone through some big changes. Despite the changes, it still remains the best in the category. Among its many features are, ability to sync with multiple email services, ability to run without internet connectivity, and best of all, it works on all major platforms such as, Linux, Windows 10, and Mac OS. We especially love its tabbed layout that helps you to organize your mails easily, and offers useful tools like calendar, briefcase, contacts, and tasks that help you keep going all day. It also allows you to create your own add-ons called as Zimlets, or select from a group of current options. Availbale for all major platforms, Sylpheed is an email client that has been in the business since 2001. While it may not be at par with the modern email clients, it’s still a viable option for many. Its out-fashioned interface and approach to email arrangement is rather much useful. The best part about Sylpheed is that it knows that it’s an email client and so, offers facilities exactly for that. It comes with no added frills that does no good but just inflate the installation and make a mess of the interface. 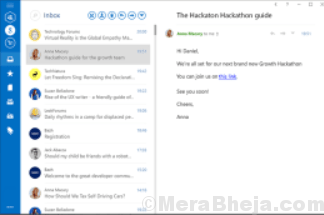 This email client is simple, easy to use, lightweight, and complete with features. If you are scratching your head with an overloaded inbox quite often, then The Bat! Professional email client works just perfect for you. It’s known for offering a wide range of inbox management tools. Installation is rather eas3, and adding your email accounts that work on POP3, MAPI, and IMAP4 is equally easy. It’s a secure desktop email client that safeguards your data through several encryption streams, with the choice to keep all information encrypted on your disc. It also helps protect emails during communication with the help of E2EE (end-to-end encryption). Moreover, it can run without the help of global email providers that store your messages in the cloud, where they can be unsafe. The Bat! protects your emails by keeping it on your computer, thus, making them private. It blocks harmful codes and tracks pixels that spread via email and this, protects your data from email hackers. TouchMail for Windows is designed for those with laptop or tablet that’s touch enabled. It’s mostly designed keeping the Windows 8+ in mind. It supports all accounts, webmail, and more. What’s interesting is that the emails are color coded in the live tiles layout that one can scroll to, till the end of the mailbox. It offers the facility to pinch zoom that helps you to adjust the number of tiles you can see at one time. You can easily move from tiny icons to previews of upto 4 mails at once. You can use the button at the top right corner of the pane to switch between touch and input devices. You can find a list of unread mails arranged by sender when you move upwards from the bottom the screen. Claws Mail comes with an old-day user interface and therefore, it’s highly simple. Despite its simplicity, it’s a powerful app that’s tuned for advanced users who are skilled enough to set things up on their own. You can add an endless number of email accounts, however, that has to be done by you. It’s known to track and fix bugs quickly. Moreover, it updates itself pretty regularly. Best of all it takes up minimum amount of your PC memory and processing power which is a big plus for your systems. Bonus – plugins like SapmAssasin are some of the useful tools offered by the app. There are more such email clients for Windows like the Hiri, FileOne, or the Seamonkey, but the above listed ones are definitely the best among the lot and highly popular due to their efficiency. So, get your preferred email client today and sort your emails easily.